Opportunity is knocking! Add style to your front door with one of these winning combinations. Known for glitz and glam, this friendly, style-setting city inspired the inviting look seen here. Let a cheerful paint color loosen up a formal facade. This coral shade peps up a Palladian transom, traditional pediment, and regal door knocker. Break from an otherwise symmetrical look with a single carriage lantern. French doors with a fresh Chippendale spin complement the Colonial home’s English roots. The curved muntins and spherical finials on the parapet play off the founded boxwoods lining the front of the home. Strike a high note on an otherwise toned-down entry with a pop of color. This home has classic craftsmanship, such as fluted pilasters and a starburst transom, but what really shines—other than a cute pup—is the deep blue paneled door with shiny brass accessories. Amp up a traditional home with unexpected sunset hues. Here, fiery red paint energizes an entryway, which exudes elegance with its ornate transom, dentil molding, filigreed pendant light, and wrought iron railing. Give guests a warm welcome with friendly tones of green, gray, and blue. This grand double-door entry is balanced by its easygoing, leafy hue and simple carving. 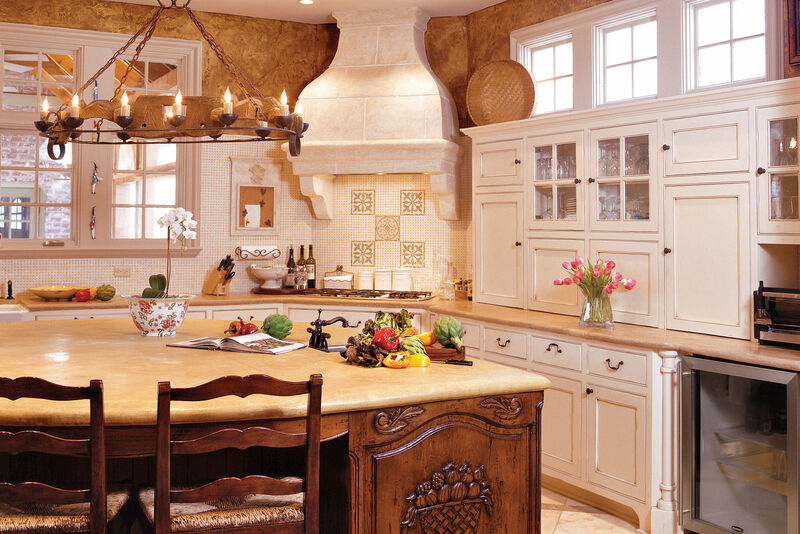 The weathered patina of the pendant lantern suggests a home that's mellowed over time. Inspired by the handsome townhomes of Georgetown, we've put together a look that is traditional and refined. Taking cues from one of our favorite colorful coastal towns, we added a splash of sunshine to this entry. We looked to the French Quarter's Creole cottages in creating this enchanting look.